Chaplain Garrett was born 7 April 1919 in Greenville, South Carolina. He received his Master of Divinity degree in 1943 from Candler School of Theology at Emory University in Atlanta, Georgia. He was ordained in February 1944 by the United Methodist Church in Virginia, and immediately joined the Navy. 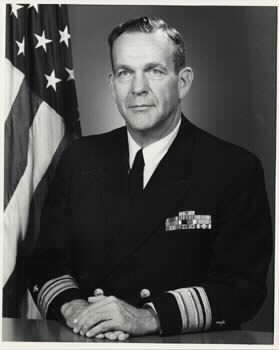 His first tour was at Naval Air Station, Monterey, California, until he was transferred to the aircraft carrier USS RUDYERD BAY, where he served until the end of the war. After the war his tours included another aircraft carrier - the USS HORNET - and a submarine tender, USS HOWARD W. GILMORE. He served at the US Naval Center in Great Lakes, and as head of the Training Branch on staff in the Chief of Chaplains Office. While there he developed Professional Training Seminars in Norfolk and San Diego. These developed into what is now the Professional Development Training Conferences (PDTC). From the Training Branch he went to London, England to serve on the staff of the Commander, US Naval Activities, United Kingdom. Upon return to the States, he was Senior Chaplain of the Marine Corps Schools at Quantico, Virginia. In 1965 he was sent to Vietnam, where he served as Force Chaplain, III Marine Amphibious Force, for one year. Upon return to the States, he was head of the Personnel Branch in the Chief of Chaplains Office. In 1969 he became Fleet Chaplain for the Atlantic Fleet, in Norfolk. He became Chief of Chaplains in July 1970. As Chief of Chaplains he chaired the Armed Forces Chaplain Board, which produced A BOOK OF WORSHIP FOR THE U.S. ARMED FORCES. He succeeded in having THE CHAPLAINS MANUAL issued as an OPNAV rather than a BUPERS Instruction, thereby giving it more authority. He also established the Fleet Religious Support Activity of the Atlantic Fleet, so that smaller units would be cared for. To facilitate the adjustment of chaplains going to serve with the Marines, he began a twelve day comprehensive Program of Instruction for the Indoctrination of Navy Chaplains Serving with Marines. Chaplain Garrett retired after 31 years of service 30 June 1975. He then served as Senior Minister at the Epworth United Methodist Church in Norfolk, Virginia for three years. 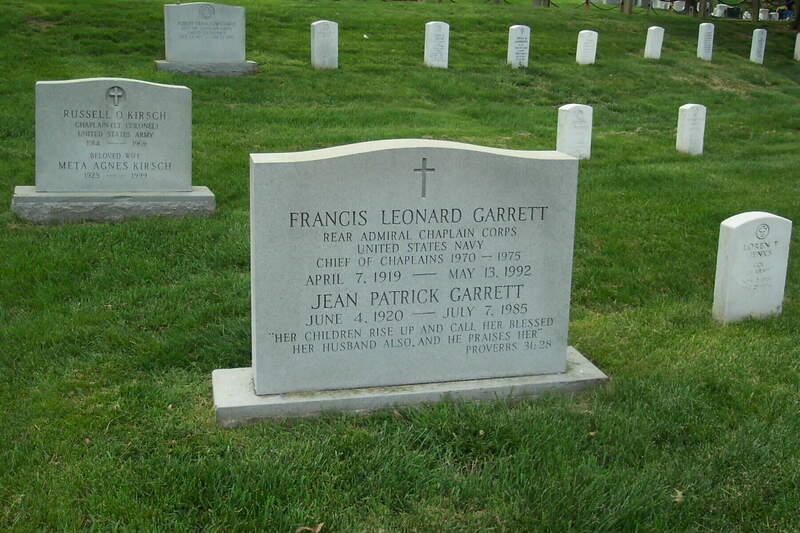 Chaplain Garrett died 13 May 1992 in Arlington, Virginia.